Losing your teeth can be very stressful and embarrassing. People lose teeth for reasons such as tooth decay and gum disease. It can also happen due injuries such as ballgame accidents or other sporting events. However, when it happens, it is good to know that you have a few choices on how to deal with your missing teeth. You could just leave the space blank and not replace them. However, doing this can cause further oral health problems in the future. Not only can this make it difficult to bite and chew food, but it can also drastically change the appearance of your smile. For example, the surrounding teeth could shift due to excessive wear. Also, your jaw line could gradually cave in due to bone loss, and a sunken smile isn’t aesthetically appealing. The best way to avoid this is to fill the empty space with dental implants, a removable bridge or a permanent bridge. A dental implant can be used to replace one or more teeth. It is an artificial root that is put into your jawbone via surgery. A fake tooth, which is called a crown, is then put on top of the artificial root to make it look like a regular tooth. Dental implants are strong, and they look natural too. Implants from Insero provide a replacement for the root of the tooth as well as the portion of the tooth that is visible. As a result, the jawbone is less likely to weaken. Implants will last longer than other options, and they are extremely sturdy. Although they may be more expensive than other options, dental patients love them because there is no need to remove them every night. A fixed bridge is made out of porcelain or composite materials. It is permanently attached to the surrounding teeth. However, this may not be a feasible option for some people because it requires that there are two healthy teeth on each side of the empty space. These teeth must be cut down in preparation for the bridge. This means grinding down these healthy teeth so that they can hold the crowns that support the bridge. However, this also puts them at risk for future decay. Fixed bridges usually last about 10-12 years before they need replacing. But the teeth that support the fixed bridge may end up with decay or bone loss during this time. 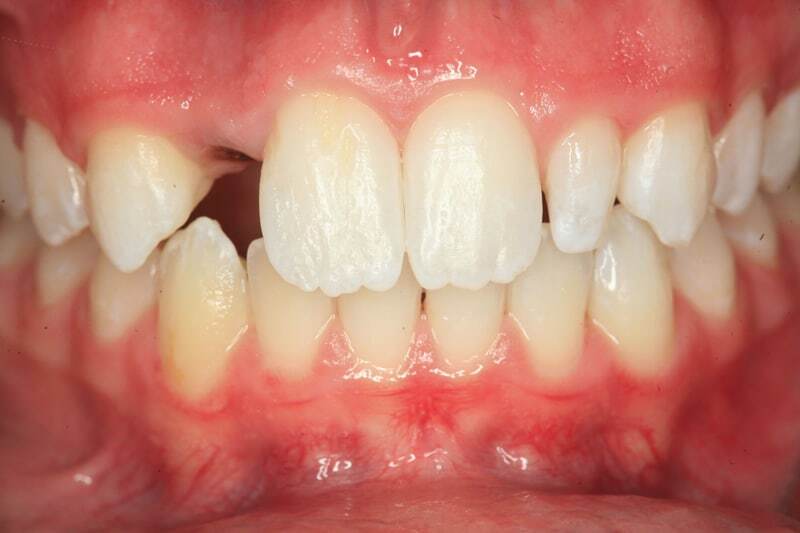 If something happens to the surrounding teeth, the bridge cannot be replaced. Thus, fixed bridges usually require more maintenance than dental implants because of the surrounding teeth that support them. Removable bridges, which are also known as partial dentures, are false teeth that are placed on a plastic or metal frame. The frame hooks to surrounding teeth. Although partial dentures are cheaper than dental implants or fixed bridges, they don’t look as natural. Partial dentures are made with materials that look like your own teeth. But depending on the placement of the bridge, the metal clasps that hook to the surrounding teeth can still be seen. Also, the material used may not match the exact coloring of your real gums and teeth. However, removable bridges are still one of the most economical and convenient ways to replace missing teeth. As you can see, there are both implant and non-implant options for replacing missing teeth. Both options have factors that you should consider such as cost, durability, aesthetics and how well they work. But keep two important things in mind. Dental implants are not dependent upon surrounding teeth, and bridges can only be used if there are surrounding teeth. Although most people will make their decision based upon cost, it is best to also think about durability before making a final selection.